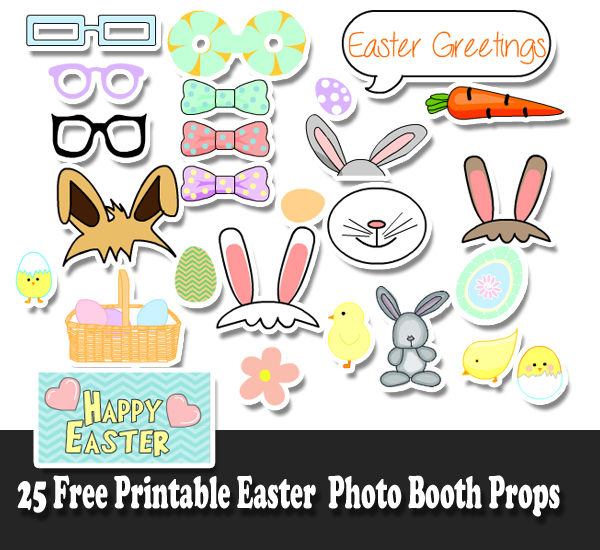 On this page we are sharing 25 Free Printable Easter Photo Booth Props. 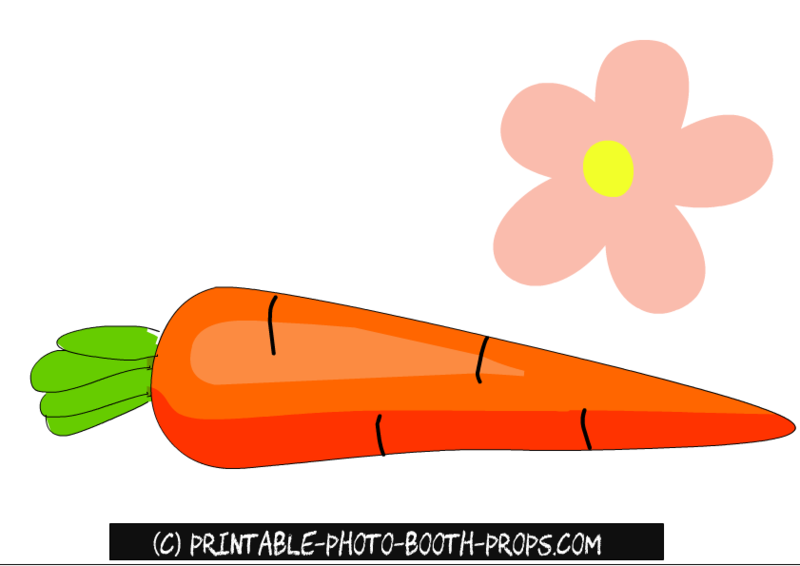 All these props are free for personal/non commercial use. 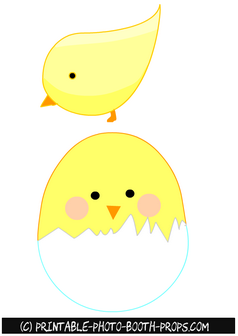 We have made flowers, cute chikens, rabbits and happy Easter signs. Just click on the thumbnail image of any of these props and then right click and save the bigger image. 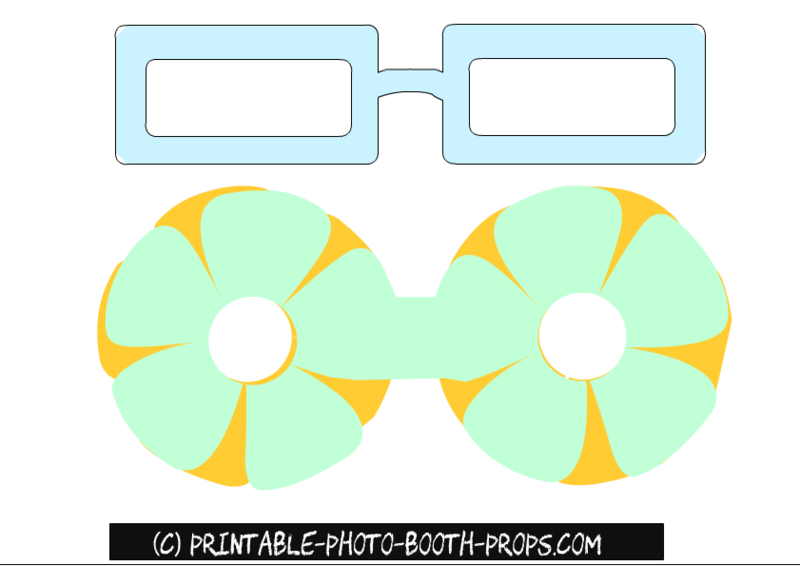 We have shared the detailed instructions of using these props on the main page of our website. 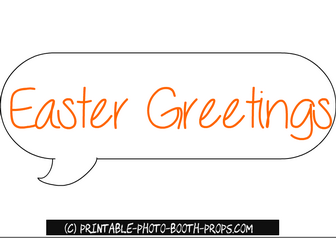 This is an adorable and colorful free printable speech bubble prop that says 'Easter Greetings'. 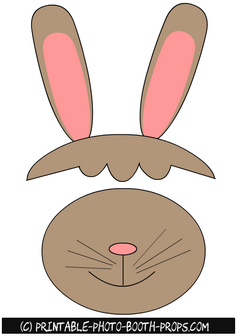 You can get a picture taken with this prop and share on Facebook and Instagram to wish your friends and family a very Happy Easter. 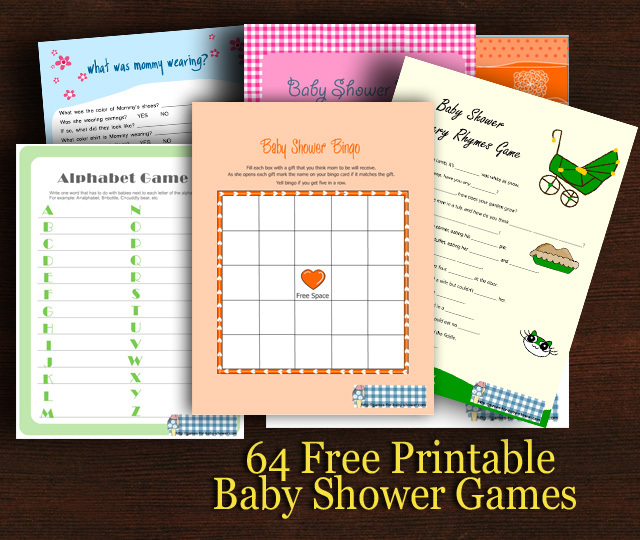 This is a cute free printable prop that would be love by all age groups. 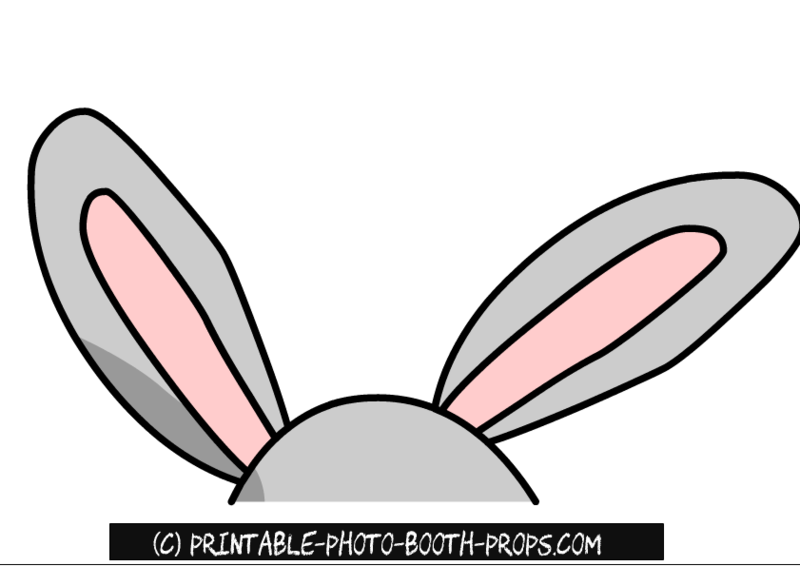 This is a prop of ears of a cute grey Easter bunny. 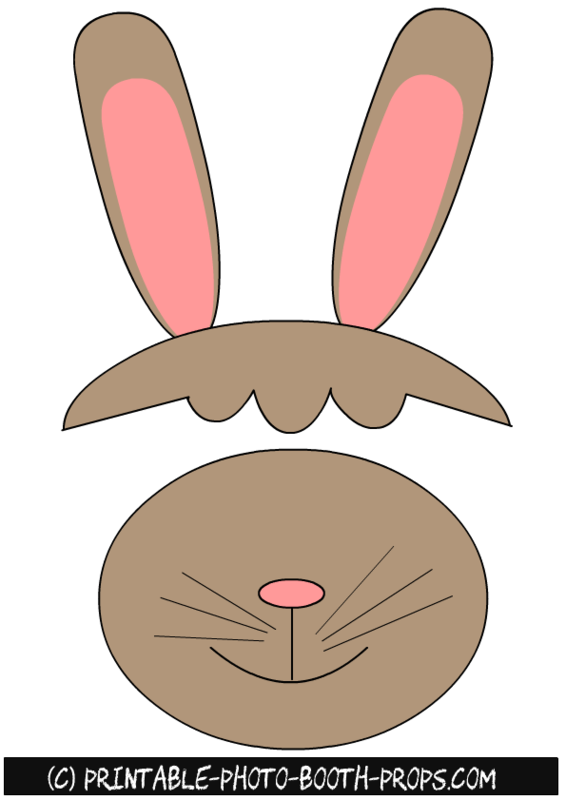 This is a free printable photo booth prop of a brown Easter bunny. You should paste both pieces of the props on separate wooden sticks. 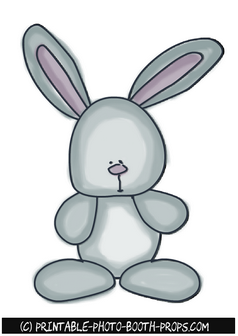 This is a free printable photo booth prop of a white Easter bunny. Just click on the thumbnail image of this prop and then right click and save the bigger image. This is another printable prop of bunny ears or rabbit ears. 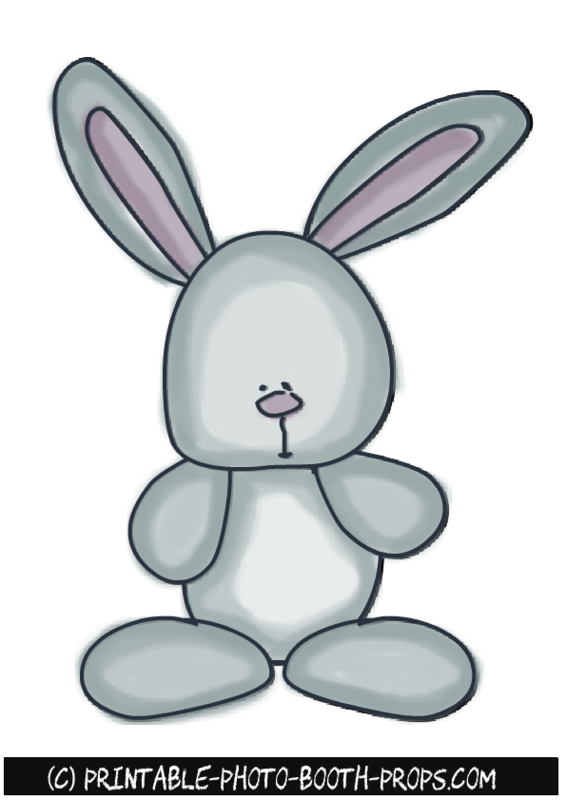 This cute prop will be loved by kids of all age groups. This is a free printable sign that says 'Happy Easter'. 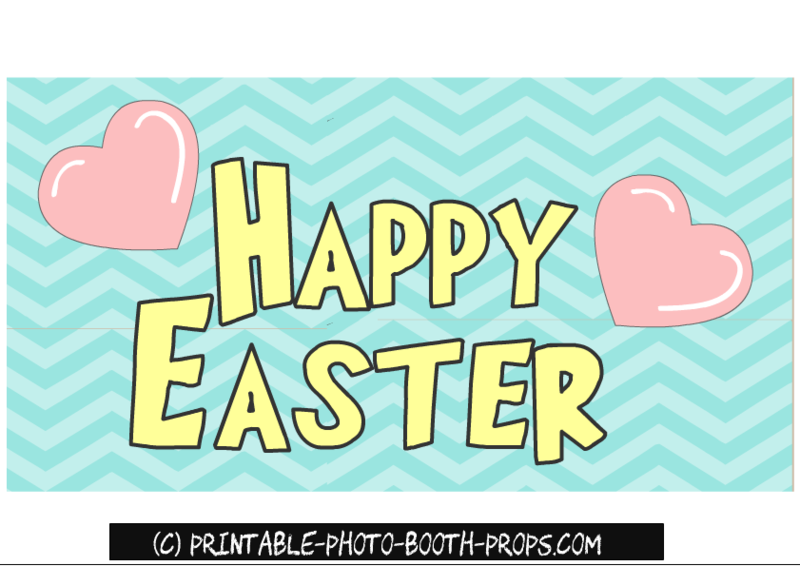 You can also use this sign as a backdrop image for your Easter party's photo booth. 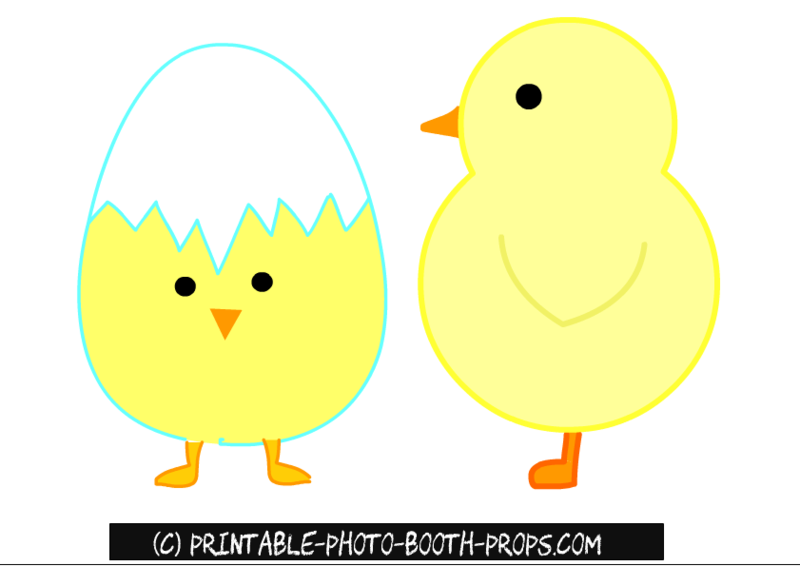 You can also use it to make decorations for your Easter party but please keep in mind that all these images are for personal use only. 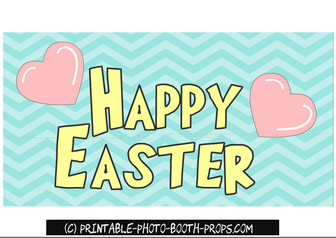 This is another free printable prop for Easter photo booth. 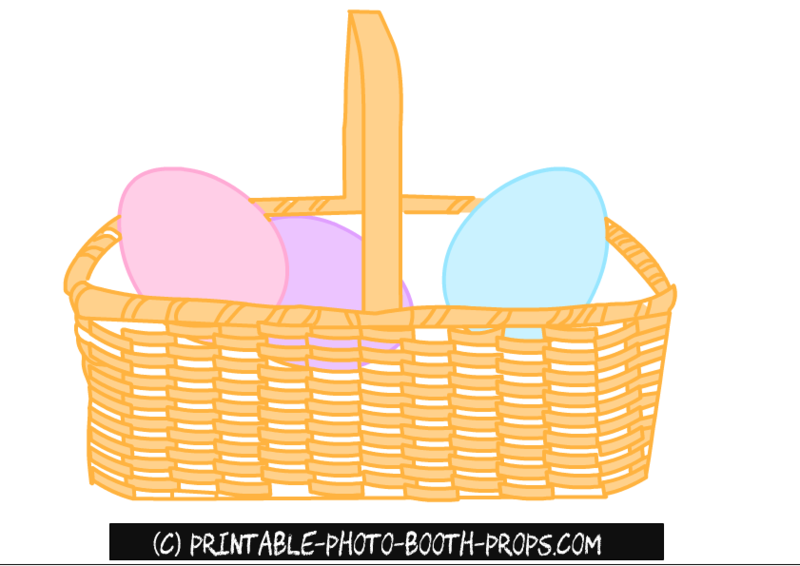 This is a basket filled with colorful Easter eggs. 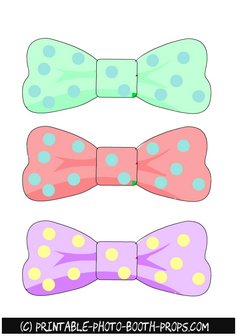 This is a photo booth prop printable of adorable Easter bow ties. One tie is pink, one is blue and one is in purple color. 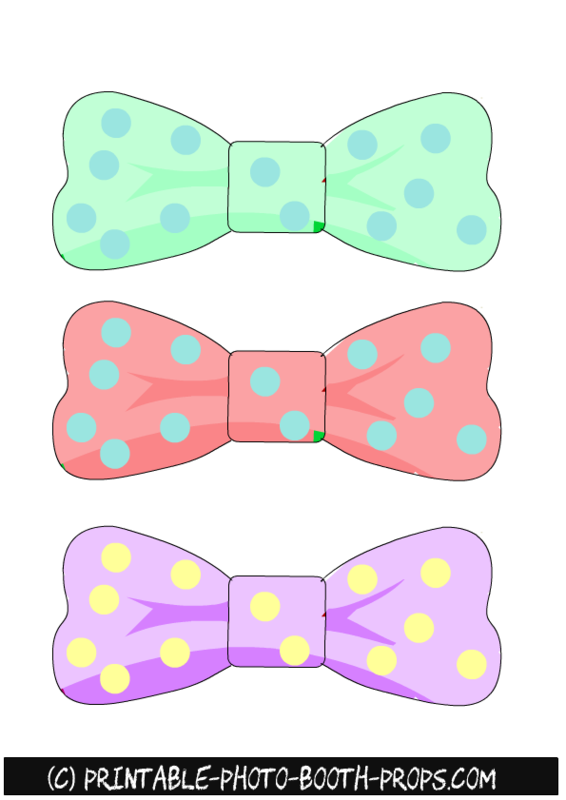 All bow ties are decorated with polka dots. 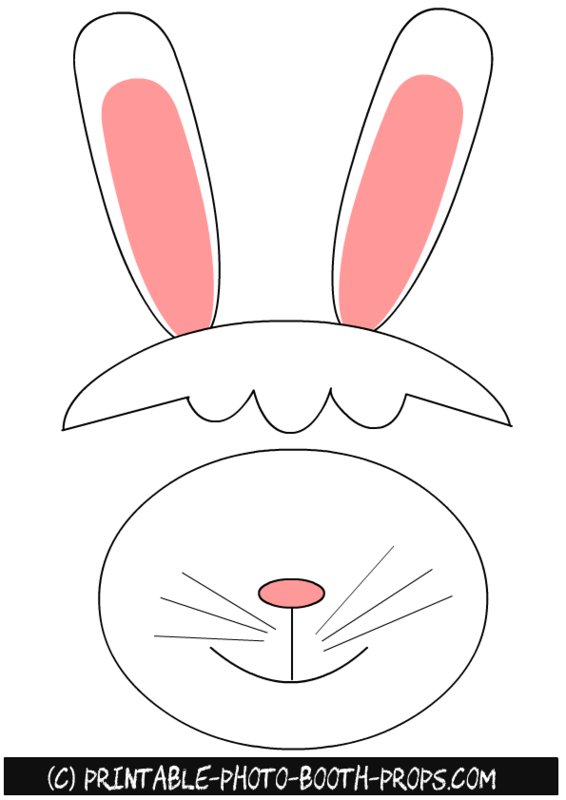 This is a free printable Easter bunny prop that you can use in your Easter photo booth and also in Easter party's decorations. These are two free printable props of a carrot and flower. 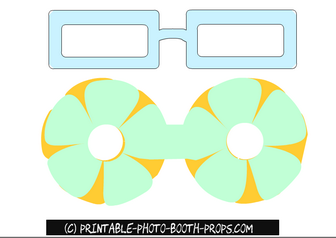 Here are two free printable prop glasses for your Easter Party's Photo Booth. One is black and other is in purple color. 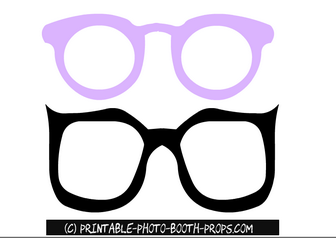 Just click on the thumbnail image of these glasses and then right click and save the bigger image. 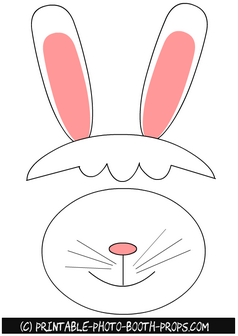 Here are two more free printable Easter glasses props. 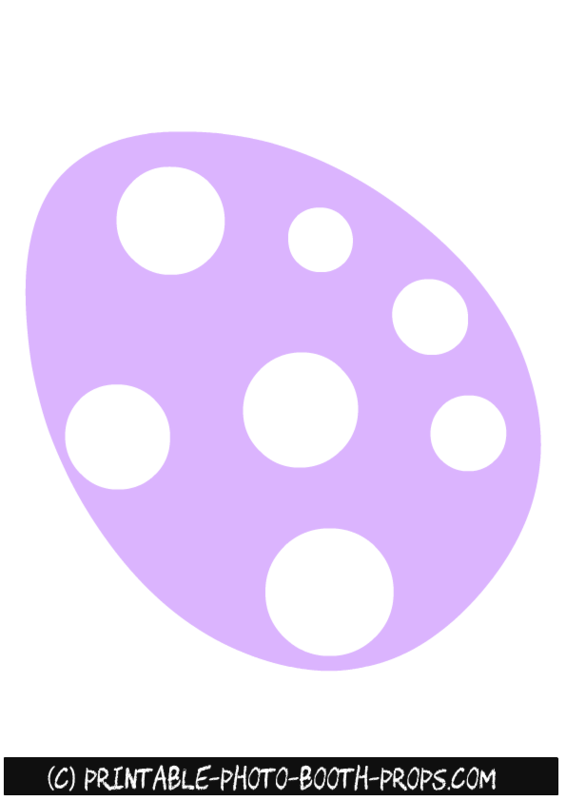 One pair is in light blue color and other is made with flowers. 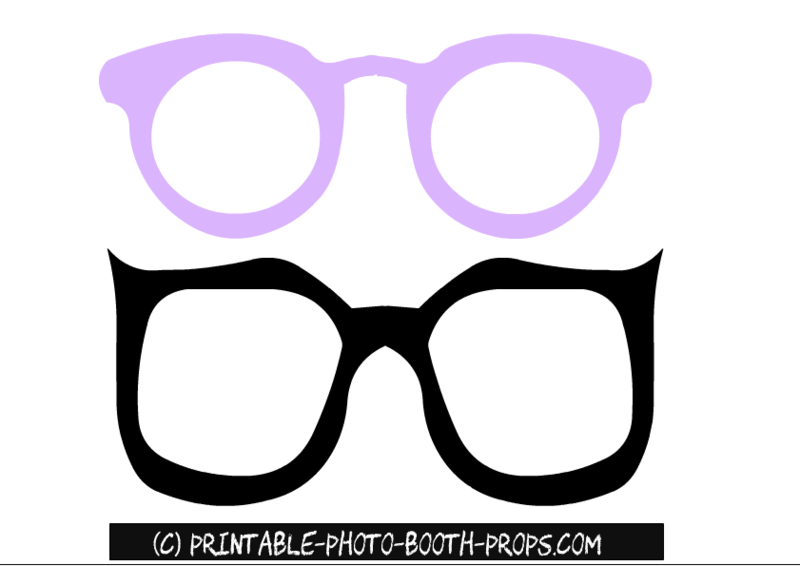 These fun glasses will make your Eatser photographs super fun. This is a free printable prop of two cute Easter chicks. 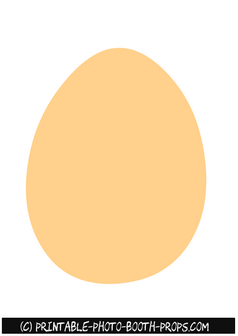 One is standing just like that and other is getting hatched from an egg. 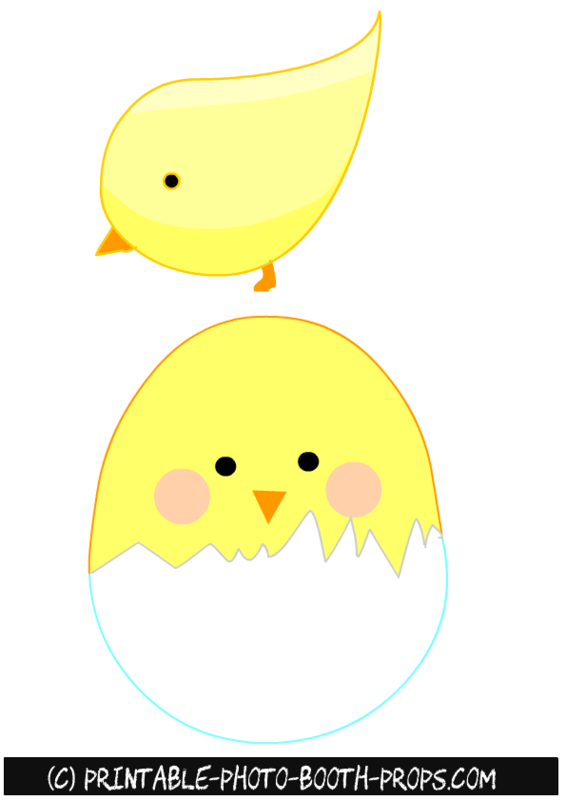 Here are two more Easter chicks props. 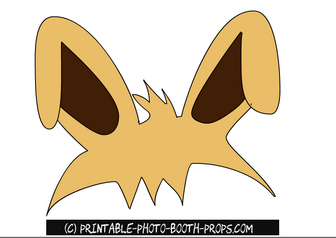 Just click on the thumbnail image of this printable page and then right click and save the bigger image. 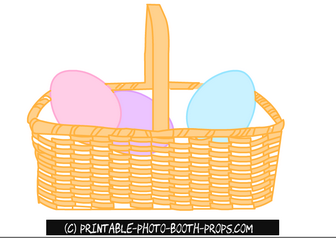 This is a free printable photo booth prop of an adorable Easter egg with a flower. 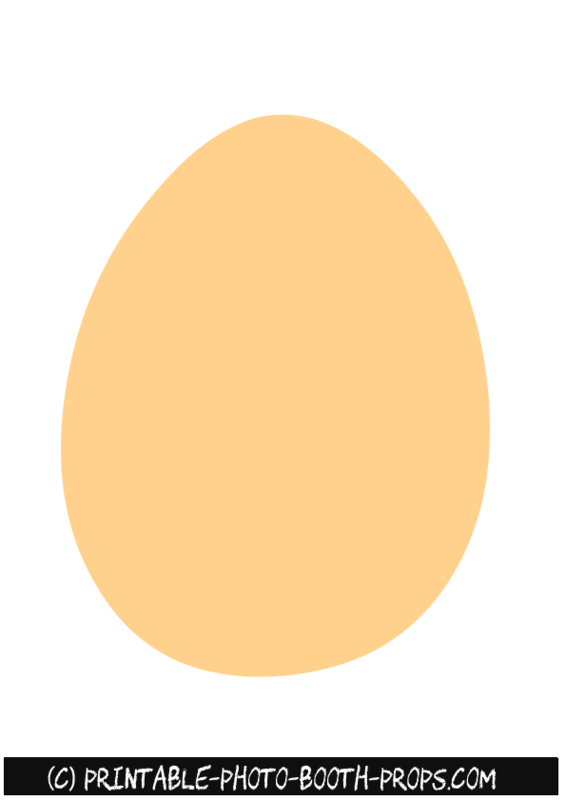 Just click on the thumbnail image of this egg prop and then right click and save the bigger image. This is another Easter egg prop with a peach and green chevron pattern. 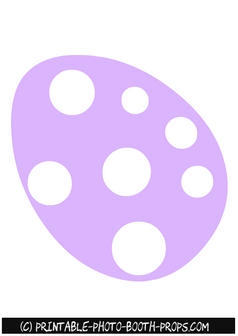 This is another Easter egg prop that is decorated with white polka dots. 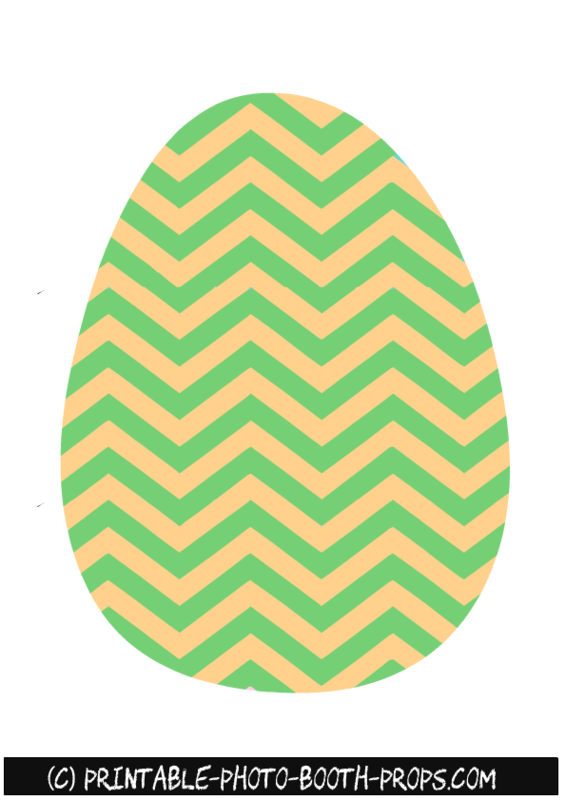 Just click on the thumbnail image of this egg and then right click and save the bigger image. This is the last Easter egg photo booth prop.